"In war there is no prize for runner-up." 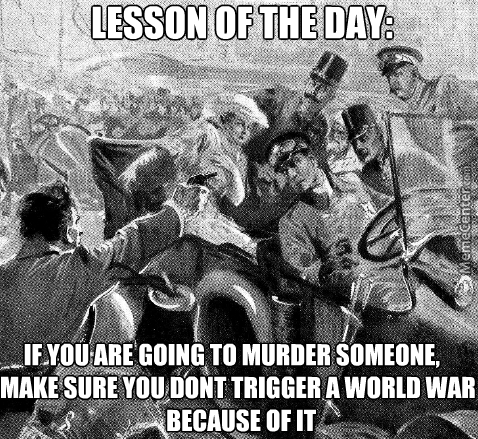 Understand what led to the start of WWI. Who was Gavrilo Princip & what was the Black Hand? What were the M.A.I.N. 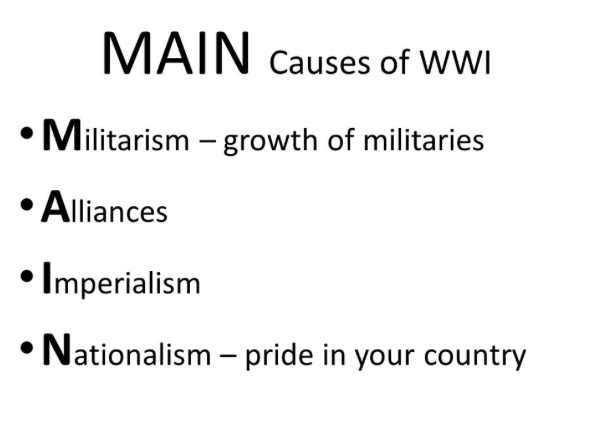 causes of WWI & what does each mean? Meme Assignment: you're in charge of creating a meme about one of the M.A.I.N. causes of WWI. Pick one of these causes and be creative as you create your masterpiece. If possible, create one using a smart device or computer, if not use paper to draw one or use magazines to cut out pictures and words to put it together.